The AS Template 002032 is a Professional, Clean template for Joomla! 3.x. Easy on the eyes tone of this template creates a warm welcome for the existing and future clients of the hotel it presents. 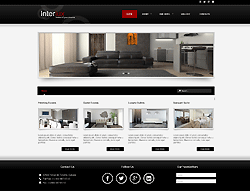 If you're looking for a well-done template with impressive gallery, easy navigation and attractive layout for a hotel-related business, consider this one. Besides, it is responsive, so your site will be nicely displayed on a variety of handheld devices. The template will help you build your site in no time to your liking with minimal effort.